Welcome to your new source for wine on the web! Wine Radius features select picks by Christopher Sawyer & Debra Del Fiorent ino, both sommeliers and professional wine judges. In preparation for the Pinot Noir Shootout in January they have both been testing their palates to choose wines for the website. You will find much to do about Pinot in this newsletter so please peruse the events, education and wine club offerings below that will tantilize you to participate! Christopher is looking forward to another big wine judging event at the end of September: All local wines at the annual Harvest Faire in Santa Rosa . Stay tuned for his commentary on what wines to keep a lookout for! It’s all about Pinot Noir! Two opportunities are coming your way at the Wine Radius Headquarters in Sonoma to learn more about this fabulous grape varietal. First is a tasting including Pinot Noir from proprietors Robert Stemmler, Zepaltas, Mahoney, Sonoma Coast , Ridgeway, Londer, Freeman, Pali, Domaine Alfred, MacPhail, Molnar and Black Kite. Come get your glass and warm up your palate for the upcoming holiday season! September 20, 2-5pm – Pinot Noir Tasting -$20 tickets available NOW at the WR website. Next is the premiere Wine Radius educational event focusing on “Pinot Noir by the Appelation”. Christopher and Debra will blow your minds and your palates with this informational seminar. 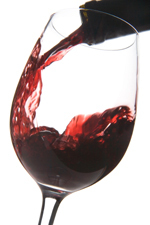 October 15, 5:30-7:30pm – Pinot Noir Wine Education – $10 tickets available soon at the WR website. Pinot Kingdom is coming! The first shipment goes out in October, just in time to plan your holiday food and wine pairings. This club ships at quarterly intervals so this is your chance to get started before the holiday madness ensues. Perhaps the perfect gift for that difficult-to-please wine lover in your life? Get tickets! To get a preview of the possibilities come to our Pinot Noir Tasting on September 20 th. Join the PK club NOW at our website (Join Now) or conveniently at the PN tasting event! Known as the Film Sommelier, Christopher Sawyer contributes his thoughts on what would pair well with Pinot Noir. There’s an old saying that no wine is harder to make than Pinot Noir, owing to the grape’s uniquely fragile nature. Unlike Cabernet Sauvignon or other hearty red grapes that grow well in warm climates, Pinot Noir does best in isolated cool-climate areas such as the Sonoma Coast or Anderson Valley . When planted in these ideal conditions and nurtured correctly, Pinot Noir can rival the most complex of all varieties. In many cases, these wines are highlighted by flavors of red and black fruit and spicy notes of cinnamon, sassafras or mint. Although still relatively delicate in comparison to the bigger reds, these wines can be very full-bodied and rich and feature graceful aromas, lavish flavors and a burst of lively acidity on the finish. In keeping with this underlying theme of balance, power and finesse, an exceptional film to pair with Pinot is Michael Clayton (2007) . Directed by Tony Gilroy (The Bourne Ultimatum), the film stars George Clooney as a hard-nose lawyer known as the Fixer who finds himself in a dangerous race to stay alive and solve the mysteries behind a corrupt $3 million dollar lawsuit before it’s too late. Clooney’s titular character is brilliantly complemented by actors Tom Wilkinson and Tilda Swinton in a role that won her the Oscar. Like the many Pinot Noirs available at Wine Radius with complex layers of flavor, the expanding personalities of each of these characters continue to build until the thrilling conclusion of this embracing and very satisfying film. Especially picked by Christopher and Debra for your drinking pleasure! Of course all the Wine Radius Pinot Noir offerings are wonderful choices, however pay particular attention to these lovelies. Check out these Pinot’s and all their companions at Wine Radius on the website.